Born in 1954, I was educated at several universities in Paris, where I received successively a M.D. in 1980, a Ph.D. in physics in 1985, and an “Habilitation” in philosophy in 1997. I first worked as a research scientist in biophysics from 1978 to 1990. 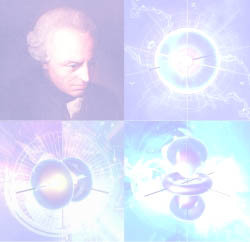 From 1990 onwards, I turned to the philosophy of physics, where I developed a neo-Kantian approach. I edited texts by Erwin Schrödinger, and published books in French about quantum mechanics for which I received an award from the "Académie des Sciences Morales et Politiques". A few years ago, I focused on the relations between the philosophy of quantum mechanics and the philosophy of mind and consciousness, working in close collaboration with Francisco Varela. I also have a long-term interest for the philosophy of the Madhyamika school, and learned some Sanskrit to have access to it.